Space Planning for your business, school or church can be overwhelming. Finding the best places for desks and chairs, or the best design for restaurants or various other hospitality services. How to make the best use of the space at the doctor’s office. Every business has different visions, goals, and needs for their space design. Some locations may even require sound masking to improve privacy. 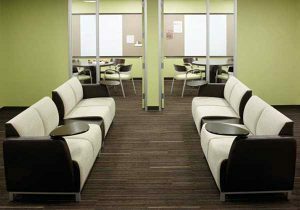 At Fineline Furniture, our Space Planning team knows the psychology of design as well as workflow to help you find the best planning and design of your office space, school classroom, library, doctor’s office, hospitality, or even your church. Our office design and space planning team is comprised of degreed professionals who are dedicated to providing you with layouts that are impressively attractive and conducive to optimum productivity and workflow. 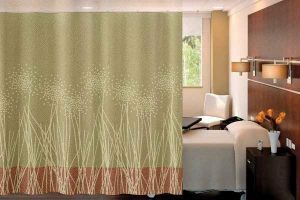 With their forward-thinking ideas and creative solutions, our professional space planners and interior designers will help you create an environment that is flattering to even the most discerning eye. If you own or manage a business where a considerable number of employees will work from an office location, you may or may not know that the office environment can have an effect on worker morale and poor employee spirit can cost you money. With most of the staff spending between 8-10 hours per day in the office with deadlines and various other stresses, a mal-designed office space can directly affect the working environment of your employees, which can affect profit. An office space should be designed in such a way that it can help reduce stress to some extent and the employees can feel a relaxing environment that flows well while working. 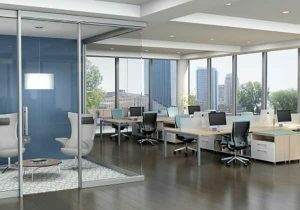 The team at Fineline Furniture knows how to help you figure out the best use of your space for your company needs with our huge selection of office furniture. Whether you are a school or a library, a pleasant place to learn and study not only helps students but also helps educators and staff. 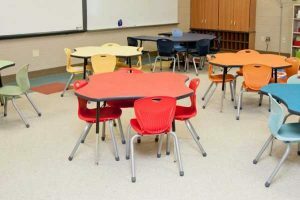 With our large selection of education furniture options, we will take into consideration the number of students, average height, the age range and various other demographics when planning the design. The professional space planners at Fineline can help design and select the best education furniture and flow to help everyone get the most out of your space without compromising comfort to let those creative juices flow. Questions about design and planning? Send us your question or call us at (317) 802-2200 and we'll be happy to answer! Any government office must be designed in such way to maintain or improve workflow with areas for one-no-one meetings, group meetings, and normal workplace duties. Furthermore, many government staff have tremendous pressure to help the public the best they can, maintain security of the facility and personal data public and more. Fineline provides government office furniture that suits the need of any type of government office. We have the variety for products for all office needs. Whether you are looking for lockers, a computer desks, waiting room furniture, various types of workstations, conference tables or even sound masking for privacy, you can trust on Fineline for the quality of products supplied. We also provide furniture products and space planning for hospital and doctor’s office requirement. Our experts has a large selection of special furniture required for hospitals such as hospital beds, living quarters furniture for extended stays, workstations for staff, and more. Fineline evaluates your hospital needs and provide you with the furniture and design for best use of space to serve all your needs. Making sure your guests have a great experience at your location is a must for all hospitality businesses from hotels, casinos, restaurants, and more. Our design professionals at Fineline can ensure that the flow of your guest areas and even office areas bring the best environment and experience for both guests and staff. Whether you are in need of beds, chairs, couches, tables, desks, reception desks, waiting room seating, etc. Fineline has a large selection of hospitality furniture options for your needs. 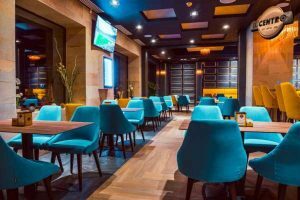 We will work with you to ensure both staff and guests have comfortable experience at your hospitality business location. At Fineline, our work isn’t done until your furniture is installed and up to your specifications.